Choose to support Metabolic Support UK when you shop online, at no extra cost to you! Add Metabolic Support UK as your chosen charity on Amazon Smile, and Amazon will donate 0.5% of your purchase total (minus vat and p&p) to us. Shop as usual and Amazon will automatically donate each time you shop. Please note, donations are only made on purchases made through the Amazon Smile site via your internet browser (not the regular Amazon site, or mobile app). If you regularly shop Amazon through your mobile browser, simply navigate to Amazon Smile instead and shop away! Savoo is a free online fundraising platform, which uses web searches to donate to UK charities. Savoo’s search engine will donate 1p to us with every search you make on their website. 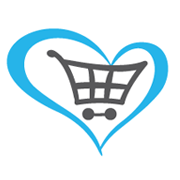 This site offers loads of amazing deals and voucher codes from some of the best retailers. When you purchase something via Savoo, they will also donate to us! Click here to sign up to shop with Savoo in aid of Metabolic Support UK: Savoo. To be partnered with Metabolic Support UK, please contact Maggie on margaret@metabolicsupportuk.org.